What Would You Be Willing To Pay To Have A Full-Time Personal Fitness Coach? How Much Is Too Much? $150 Per Hour -- $250 Per Hour - More? What If I Said You Could Have ALL The Benefits Of A Personal Fitness Coach For Less Than The Price Of A Good Hand Lotion? Fitness coaches agree: Achieving and maintaining a healthy weight matters more than the numbers on the scale. So ditch the diets and daily "weigh-ins" and discover the exact secrets your Personal Fitness Coach would tell you, if you could afford their fees! I know you are tired of trying every diet that comes along only to end up staring at the scale through tears because your weight loss dreams are shattered again. And while you might think that yo-yo dieting is better than no dieting, the truth is: You're wrong! Bouncing back and forth between one ineffective diet plan and the next actually slows your metabolism and tricks your body into holding on to its fat. And once your body thinks the fat's here to stay, it's going to take more than a different diet to get your body to let it go; a whole lot more. The good news is, no matter what your age, no matter how many times you've tried and failed, and no matter how unhealthy you feel right now, you can achieve the fat loss results you want. All you have to do to reach (and maintain) your ideal weight is to stop listening to the diet "gurus" and start listening to your personal fitness coach. With The Fat Loss Coach's Pocketbook: 99 Secrets Your Clients Would Kill To Know you will be exposed to every bit of important knowledge that the best Personal Fitness Coaches share with their top clients every day - and you will get it ALL for just $19.95. That's right. For a mere $19.95 you can download The Fat Loss Coach's Pocketbook: 99 Secrets Your Clients Would Kill To Know and dry those tears once and for all. In just a couple of hours, you will understand ALL the ways your body works against you to stubbornly hang on to every ounce of fat in your stomach, legs, arms, thighs, and wherever your body stores that fat it loves so well. You know what else you will learn in that short span of time? You'll discover the real difference between weight loss and fat loss. You'll see how fitness experts help their clients reverse the damage of yo-yo dieting. You'll learn how to crank up the fat-burning "furnace" without starving yourself to do it. You'll get expert nutritional guidance including an insider's trick to help you feel fuller longer. In fact, you get the complete list of the Top 99 Tips & Tricks that most people pay thousands of dollars to get from their own Personal Fitness Coach. But you'll only pay 19.95. If you want to achieve long-lasting weight loss success and then move forward into easy body weight maintenance, you absolutely MUST download The Fat Loss Coach's' Pocketbook: 99 Secrets Your Clients Would Kill To Know. Increase your calories and kick-start your body's fat-burning furnace. Help your brain realize your stomach is full. Cheat weekly and still meet your fat loss goals. Create a complete "New You" plan. Could Anyone Else Coach You At This Price? I am serious. 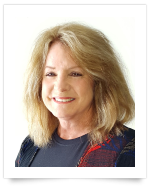 I have been in the health and fitness industry for more than three decades. My personal clients, when they can afford to hire me as a coach, will pay an hourly rate in the three-figures. For most people this level of cost is simply beyond their reach. Yet with a copy of The Fat Loss Coach's' Pocketbook: 99 Secrets Your Clients Would Kill To Know in your hand you might as well be sitting next to me as I pour out all of the secrets I have learned over the years. In fact I have done this one-on-one coaching so many times over the years that naturally the question began to arise in my mind again and again: "How much more efficient would this process be if I could simply point my clients to the ultimate resource on fat loss strategies?" So that is exactly what I have done - created for you the ONLY fat loss informational product that completely replaces the need for a personal trainer. The Fat Loss Coach's' Pocketbook: 99 Secrets Your Clients Would Kill To Know explains in easy-to-understand language exactly what I would do if I needed to lose weight reliably and in a reasonable period of time. These are also the EXACT strategies I teach to my personal clients. That's Right - Only $19.95! 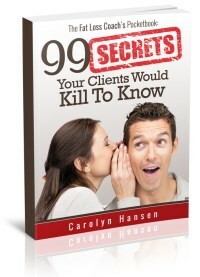 Follow the advice inside The Fat Loss Coach's' Pocketbook: 99 Secrets Your Clients Would Kill To Know and you can expect to see the same kind of results that my personal clients have achieved over the years. I am talking about lighter, more streamlined bodies that provide the kind of physical and mental health benefits that you could never put a price on. It really is that simple. Simply download your copy of The Fat Loss Coach's' Pocketbook: 99 Secrets Your Clients Would Kill To Know right now for just $19.95. Then take a FULL 30 DAYS to read the product from cover to cover, and digest all of the information. That's how confident I am that The Fat Loss Coach's' Pocketbook: 99 Secrets Your Clients Would Kill To Know is the answer you've been searching for. Don't wait another minute! Download The Fat Loss Coach's' Pocketbook: 99 Secrets Your Clients Would Kill To Know now so you can get educated, take action and begin slimming process to achieve the body you know you deserve. I understand I'll be instantly downloading The Fat Loss Coach's Pocketbook ebook for only $37.00, $19.95 today, and today only. I hope that by now you recognise that this pocketbook will be a valuable resource that never goes out of date and which will prove its worth over and over again as the years roll on and you enjoy all the advantages of professional fat loss coaching but without the fees that normally go with it. Do the right thing, right now. "Hire" your personal fitness coach for just $19.95 by downloading The Fat Loss Coach's Pocketbook: 99 Secrets Your Clients Would Kill To Know and start making your fat loss dreams come true. P.S. Remember that this is YOUR LIFE and your body we are talking about. Is it worth it to forgo the potentially body-changing fat loss strategies discussed on this page by not investing in this information?